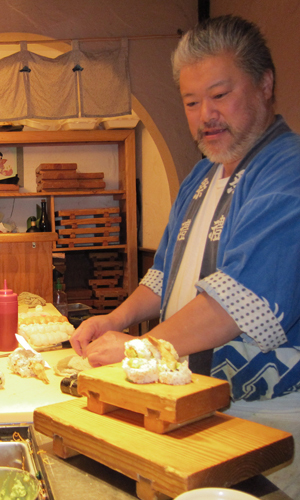 My meeting with sushi chef Fumi Naoe was more of a sleuthing than an interview as I hunkered down and tried to figure it all out, finally answering the question: What made him and his restaurant so amazing? Really, though, I was looking for the secret ingredient, the magic bullet, that one thing. For awhile, everything seemed relevant; everything seemed to be a clue. At the time, Fumi was married and with one child—they now have four kiddos—living on a full acre in Miami, tennis court and pool in his backyard. But the city wasn’t safe. Sioux Falls seemed to be the anti-Miami in this way and more. 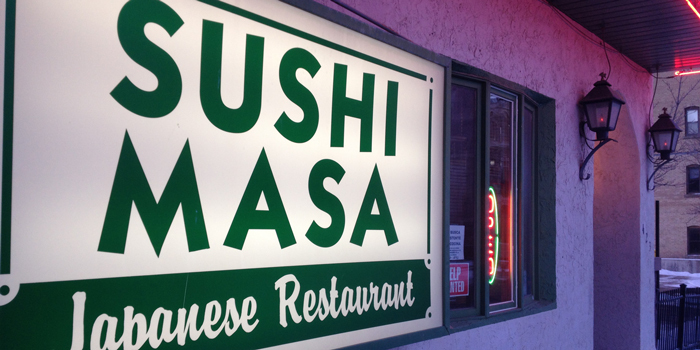 By April of 2000, they found a location for what would become the first Japanese restaurant in not just Sioux Falls but the entire state, Sushi Masa. They were open for business soon after. Love at first sight. It’s a peculiar trope because it’s occasionally literal. Dante experienced it, and from that we got La Vita Nuova and arguably, The Divine Comedy. It happened to Harry Truman, and out of that, arguably, we got one hell of a president. 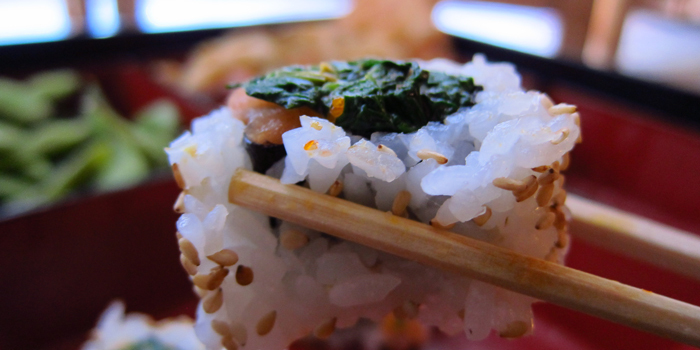 For Fumi, arguably, did we get Sushi Masa? I’m tempted to make that case. For seventeen years, Fumi courted Yuki. And then one day in November, 1990, he flew back to Japan for a best friend’s wedding. There he saw Yuki, and then they officially started dating. They were married a couple months later. In those seventeen years, Fumi lived a life held in abeyance, put on hold until the courtship was officially over. I imagine this is much like being in a constant state of not just preparation but preparation with the intent to compel the heart to “I do.” If we had twenty words for motivation, I wonder if I’d have one at my disposal that indicated the best version of motivation. Asked why it took so long, Fumi responded, “Maybe she didn’t have any other options?” We both laughed, but I wonder. Almost every time I’ve dined at Sushi Masa, as I’m leaving, Fumi yells out a “Thank you!” Over and over, this happens. While I remember that for their first years of opening, the music was an orchestral arrangement of popular Beatles tunes, I don’t remember my meals being interrupted with these ambient thank you’s; they somehow blended in with the dining room chatter. But when it came time to leave, I remember those thank you’s directed at me or looking up to see that he was too busy to spare the moment. There are a lot of open kitchens out there in the world. 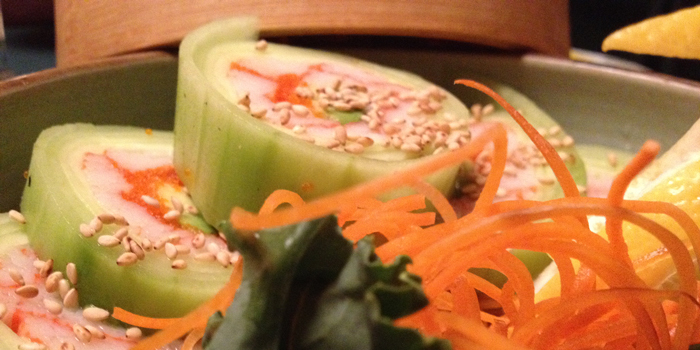 Even more sushi bars. Can you imagine such display of gratitude happening at those places? I’ve never encountered anything like it. Now that I know what I know about Yuki, I wonder if these thank you’s aren’t meant more for Yuki each and every time, over and over, five nights a week. This is a three-piece installment. So…watch this space! Click here for Part One.